Have you heard about this island in the north of Cebu? 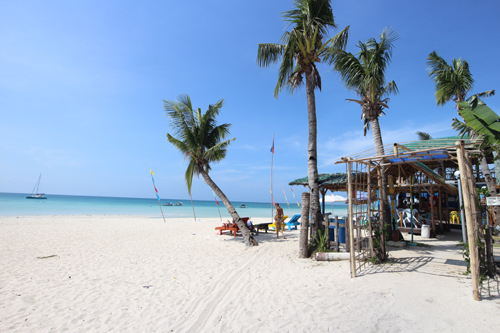 Well the Bantayan Islands are north of Cebu Island in the central Visayas in the Philippine. and if you want peaceful beaches on a budget then this is a great place to visit. There is no airport on the island so you have to start with flying to Cebu City Mactan airport, there are lots of flights both domestic and international to Cebu. Cheaper is to head to Cebu NORTH bus terminal and look for a bus to HAGNAYA leave early as you need to catch a ferry later! 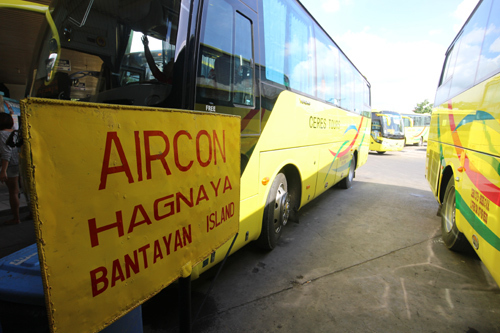 The aircon bus costs P160 and takes about 4 hours. so you shouldnt have too much time waiting. 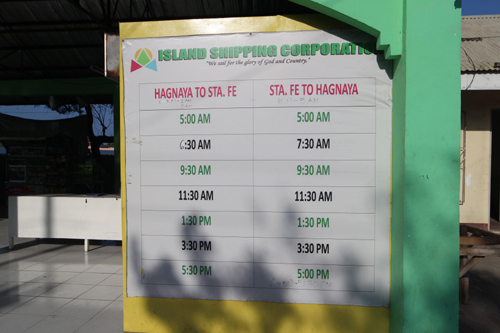 Ferrys start at 5 am until 05:30 in the afternoon see photo for schedule.